Amazon Web Services gave its cloud customers a set of new infrastructure capabilities aimed at making its compute offering faster for complex applications that benefit from hardware acceleration. The F1 instance type, which entered beta on Wednesday, lets companies deploy applications that are accelerated by field-programmable gate arrays (FPGAs). FPGAs allow users to program hardware to perform a particular task quicker than a general-purpose processor would be able to. 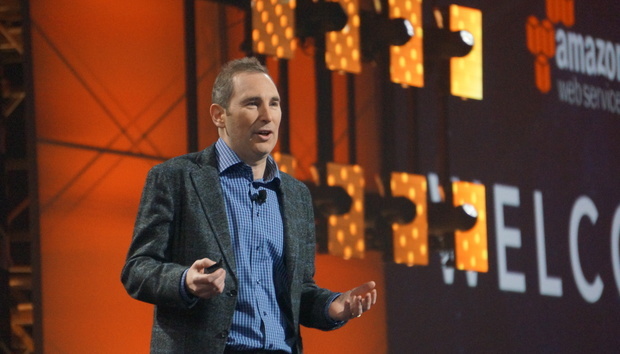 AWS CEO Andy Jassy positioned the new instances as a way to democratize access to the hardware needed to optimize speed for particular applications. Several other public cloud providers have turned to specialized hardware like FPGAs to try and accelerate the speed of their offerings. IDC Program Director Al Hilwa said in an email that the F1 instances will be useful for highly customized workloads. “Gaming and other types of testing applications are examples, but the biggest change versus a couple of years ago is the increase in image, video and audio stream processing, often done in the context of preparing data for machine learning,” he said. Amazon will be providing F1 customers with a hardware development kit and a sample image for getting started using FPGAs. In addition, Jassy said that companies that have already developed hardware-accelerated applications will be able to port them to F1 instances. Amazon isn’t the only company using FPGAs in the cloud. Earlier this year, Microsoft announced that it had deployed over a million hardware cards carrying the gate arrays to servers in its cloud data centers across the globe. That hardware is being used primarily for accelerating networking between instances. Scott Guthrie, the executive vice president of Microsoft’s Cloud and Enterprise division, said earlier this month that the company is looking into tools for helping companies program FPGAs, as well. Jassy unveiled the new instances at Amazon's Re:Invent conference keynote in Las Vegas as part of a refresh of Amazon's compute capabilities. In addition, Amazon unveiled upgrades to its burstable, memory intensive, high I/O, and compute intensive instances.